Another milestone has been reached in the redevelopment of the ASB Farm at MAGS with the appointment of Peter Brice as Experience Centre Development Manager. Mr Brice, pictured above, will be working with supporters and stakeholders to shape and fund the $12 million Experience Centre, which will be the centrepiece of the 8.1ha farm and give students and visitors a world-class experience and educational environment with classrooms, an exhibition space and a seminar area. The experience centre will take up to 500 students a year and also demonstrate the innovation, science and environmental best-practice used on farms across New Zealand to around 25,000 Auckland school students every year. It will be a driver to sustainably increase the number of students studying agriculture, horticulture and forestry and attract young people to work in the agri-food and fibre sectors. One of its stated objectives is to bridge the rural-urban divide and showcase the exciting and diverse opportunities available in the agri-food and fibre industries. The Experience Centre will have five new classrooms and in addition to the seminar and exhibition spaces it will have shearing and milking facilities and machinery bays. It will have a hydroponics building and overlook neighbouring horticulture and viticulture blocks. As part of the redevelopment of the farm, Mr Brice will also be working on a land management plan that includes a strategy for the waterway that runs through the middle of the property. Mr Brice has an established track record and strong connections in the agri-food and fibre industry, having held positions such as Business Development Manager with Autogrow and Key Account Manager with Ravensdown. His family has dairy farming roots in Taranaki, and Mr Brice’s work in the sector has taken him to Australia and Canada. Richard Hegan, ASB’s General Manager of Rural, is excited about the appointment, which he believes is a significant milestone for a project that has been underway since 2013. “This project is really important for our industry and one we truly believe will connect urban kids and their families to the vast opportunities that exist in our agri-food and fibre sector. Mr Brice’s appointment was made possible by a $250,000 grant from agribusiness sector investor the Agricultural and Marketing Research and Development Trust (AGMARDT). 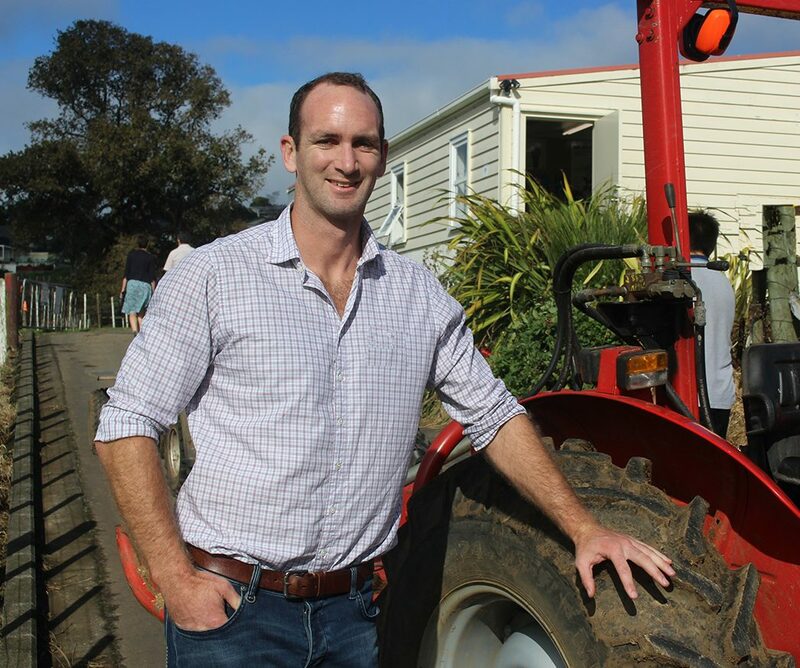 It is one of many industry supporters of the redevelopment of the farm, which currently has about 150 students studying agriculture and horticulture in old classrooms set in the middle of paddocks with sheep and dairy and beef cattle. The farm was established in 1932 and is owned by ASB, who have leased it to MAGS for 99 years for a token amount on the proviso that is used to deliver agri-food and fibre education programmes for the wider benefit of the sector.